It looks like five is the magic number today, with now Lenovo now following up Viewsonic's latest batch of projectors with five new ThinkVision LCD monitors. Leading the pack is the 19-inch L190x, which is apparently the first monitor to be rated EPEAT Gold. That rating is based on 51 different environmental criteria, of which the L193p had to meet all 23 required criteria as well as at least 20 of EPEAT's 28 optional criteria. Apart from that notable bragging right, however, the monitor looks to be pretty standard fare, with it boasting a 1280 x 1024 resolution, an 800:1 contrast ratio, and 5 ms response time, among other common specs. The other stand-out model in the line-up is the 19-inch L190x which, according to Lenovo, features the "slimmest bezel in the industry at just 6.6 millimeters." Rounding out the lot are three entirely no-frills models, including the 15-inch L151, 17-inch L171, and the 19-inch L194. Look for all five to be available next month, with prices ranging from $199 to $379. BMW and Mercedes-Benz models are the most sought after, according to ForbesAutos second-quarter data. Despite steady improvements by American automakers and increasingly competitive Japanese models, German cars still dominate luxury-car shopper's lists. 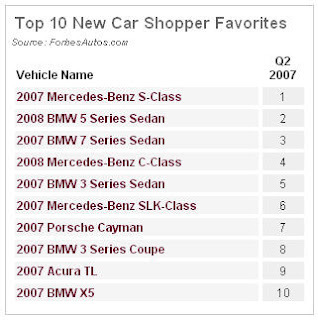 BMW and Mercedes-Benz account for eight of the top 10 luxury and high-interest models that ForbesAutos.com users researched on the site during the second quarter. "This is the cream of the luxury crop," said George Magliano, director, North American auto industry research for Global Insight, New York. "It's a German-oriented list, but that's the nature of the beast, at this end of the market." No. 1 on the second-quarter list was the flagship Mercedes-Benz S-Class, which was redesigned last year. Its chief rival, the BMW 7 Series, was No. 3. In between was the slightly smaller and sportier BMW 5 Series. "Properly bought, these cars are not necessarily all that expensive to own," said Jim Hall, the Southfield, Mich.-based VP of industry analysis for AutoPacific in Tustin, Calif. "The concept is, you get value out of an $80,000 to $90,000 car that holds its value, you get the mileage out of it, and if it fits in with your ownership cycle, it can be a pretty sensible way to buy a car.". At the entry-level end of the luxury spectrum, the Mercedes-Benz C-Class, the BMW 3 Series and the Acura TL popped up in the top 10. "The C-Class is brand-new, that's got to account for some of the interest," said Wes Brown, one of the principals for Iceology, a research and consulting firm in Los Angeles. Mercedes-Benz fans have been aware for months that the company launches a redesigned C-Class starting in August. The TL was the one non-German model on the Top 10 list. That's good news for Acura, which has been laboring for years to position itself as true luxury brand, as opposed to a fancier Honda. "That would make them extremely happy, to nose your way in between the Mercedeses and the BMWs," Magliano said. Hall pointed out that BMW has kept up a drumbeat of marketing and advertising to support the 3 Series. The sedan was last redesigned in 2005, but BMW's usual practice is to add different body styles and engines to keep interest fresh. "They do not 'launch 'em and leave 'em'  that's been a strength of BMW. They launch it, and then they never stop launching it, by the time another re-freshening comes along," Hall said. For the 2007 model year, the 3 Series got BMW's first turbocharged engines since the 1970s, and the convertible model received the company's first folding hardtop. Light trucks are conspicuous by their absence on the top 10 list. The luxury segment is not as truck-heavy as the rest of the market, but light trucks account for more than one-quarter of luxury-brand sales, so you would expect to see more trucks on the list besides the BMW X5, at No. 10. 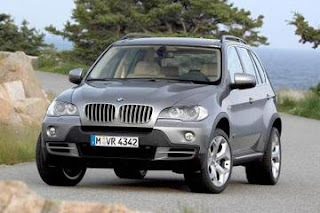 Click here to see a slideshow of the second quarter 2007 Luxury Car Hot List. Editor's note: Due to changes in the way we gather data for our top 10 quarterly shopper favorites, comparisons with previous lists aren't possible. Starting with the next quarter, we will resume comparisons. How do you dress up a rather plain snake-printed leather clutch? Add some over sized brass rings and attach a saber-carved piece of wood. I like the idea, but the unusual handle just doesn't seem to go on this particular bag. It looks slightly better on the black version of the clutch, but still stands out as bulky and mismatched on such a sleek bag. With a magnetic flap closure and faille lining, the bag measures 10"W by 5"H by 2½" D and has zero pockets. $315. Posted by Beezy at Tuesday, October 16, 2007 . We've mentioned the curious goods offered by Douglas Little before, his latest venture takes him into the world of the edible but he has not left his love of skulls behind. He has worked with confectioner valerie gordon to create the mori ex cacao (death by chocolate) collection. The delicately delicious skulls are done in bittersweet chocolate and filled with either scorched caramel, bitter brandied cherry or chili and chocolate and then painted with colored cocoa butter. A set of three, one of each flavor, sells for $90. With this one you might just have to bring on your own full-time glass cleaner but these views would be worth it. This gated home on Mt. Tiburon, California has amazing views out over the San Francisco Bay that are probably jawdropping even on foggy days. Much of the 7,500 sq. ft. of interior space has glass walls. The four-bedroom home has a massive double height living room and there are also walls of glass in the dining and kitchen areas. The top floor master suite has his and hers baths and a covered view-side balcony. The home's pool is in the courtyard and can be seen from the home's giant glass rotunda with curving glass staircase. This home is listed at $11.5 million. How do you do justice to one of the world's most beautiful yachts, the Savarona? The Ulysse Nardin Maxi Marine Chronometer Savarona is a pretty sweet homage. The watch has the Savarona name on the dial and, what is even cooler is that is an engraving of the ship on the watch's rotor. The watch has a 43mm 18K rose gold case with front and back sapphire crystals. The movement is the automatic UN caliber 26 and is COSC-certified as a chronometer. It is a limited edition of 99 pieces in gold and 150 in stainless steel. The yacht is now owned by the government of Turkey and the watch is only available to the Turkish market. Every thing is coming up rosy pink during breast cancer month. The latest pink must-have are these beautiful rose-colored glasses from BCBG. The Hope sunglasses are also available in black and 25% of the proceeds go to the Susan G. Komen For The Cure campaign. There is a minimum guaranteed donation of $25,000. The sunglasses sell for $120. This bag stands out for its shape, but I particularly like the handle attachments, which look a bit like a large, covered buttons trimmed in gold. The patent leather itself looks thick and soft and the hollyberry color is beautifully festive. With rolled double handles and a large zippered top, this pretty bag measures 9 ¼"H x 13¾"W x 7"D and is lined in cotton. This Zoe style bag is also available in patent black and blue, soft brown suede and metallic gray. $595. If you could have your ideal home theater what would it be like? The Goldmund Media Room would be pretty much the ideal for most people. We've seen some lavish set-ups before but this one is truly amazing. The Goldmund installers use an acoustic modeling program named Proteus to create the perfect design for your room. They custom build all the media room audio and video components including up to 128 speakers with an amplifier for each speaker and a central processing controller. The installations start at $300,000 which doesn't include the decor and furnishings (those amazing coffered ceilings with inset lights do not come cheap). Live the fantasy in the gallery pics below. A reader sent us a tip for this jewelry store, Persona Jewelry which has three stores in Boston in the lobbies of three of the city's finest hotels, The Taj, The Ritz-Carlton and the Hotel Commonwealth) as well as in the Pierre in New York City. The store is an interesting mix of high-end and more modestly priced pieces by designers such as Alexis Bittar, Stephan Blake and Gurhan. The in house jeweler and owner, Gary Shteyman, also creates custom pieces. There are also estate pieces by Van Cleef & Arpels, Bulgari, and Cartier. The glittering piece shown here is an 18K white gold bracelet set with 91.83 carats of multicolored sapphires. It sells for $23,585. Actor Kelsey Grammer is a serial real estate buyer. He often buys and sells quickly and has homes across the U.S. in California, New York, Colorado and Hawaii (for a comprehensive round-up of many of his transactions check out the fine work done by Mr. Big Time Listings). Braden Keil of the New York Post reports that Grammer has put his Bridgehampton, New York mansion on the market for $16.1 million. Grammer and his wife Camille, bought the home in January 2006 for $8.517 million. The home has seven bedrooms, a home theater, gym, wine cellar, gourmet kitchen and staff quarters. The 1.7 acre lot includes a heated gunite pool and spa and a pool cottage as well as a sunken tennis court. It is beautifully and elegantly decorated, a nice mix of the cozy and elegant although a bit too much white and beige for those without a fleet of dedicated housekeepers. Bigger pictures are below in the gallery. Another Japanese Creation but this time it's not an electrical product but a luxurious accessory. This ultra-elegant bag is being designed especially to be accompanied to the late-night parties. The fabric used is not a cushioned cloth but sheet of metal used by steel workers to create a well-designed sonata. The structure of the bag is based on the nonaligned palette of black, white, and gray, glued to network with cloth offering it a light feel. Its leather straps are adjustable along with a spacious pocket inside. Posted by Beezy at Thursday, October 04, 2007 . Artist Tetsuya Nakamura's exciting array of luxury fittings convey the vibes of breaking the floor while residing calmly in your bathroom. Mind you it's the very first look and feel that make your doubt its functionality i.e. Bathtub. The set includes a tub, a duo of sinks, a step organized to enter into a stairwell, and an ornamental column. Nakamura has given the liberty to its consumers to paint the tub as per their own likings. It is its aesthetics feel only that overshadows its functionality. But yes, terms and conditions are applied to this designer tub as well. It warns you to keep away from the weirdest thought of taking a romantic bath inside it with your beloved. Albeit made up of plastic (and not glass), precaution is better than care. Well, trust me or not but surely pinch yourself as this artistic bathtub is retailed at $26,000 and $8,600 is the pricey but deserving sink. Big-name rappers and athletes are probably already familiar with Asanti, though you may not be. Last year Asanti was responsible for the then most expensive wheels in the world, a cubic zirconium encrusted set weighing in at a chunky 63,000 carats and an even heftier $250,000. 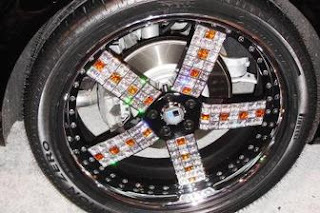 This year, the manufacturer ups the ante with the world's first genuine diamond-encrusted rims. Debuted at the November SEMA auto show, the $1,000,000 foursome sports a total of 110,000 carats of genuine gemstomes- and comes with a free Bentley Continental GT as a sort of "manufacturer's rebate". The gemmed 22-inch set represents the apex of the Asanti brand, whos slogan "Unequalled luxury" is conveyed by their most expensive rims as well as their standard consumer offerings, which include rims with faux woodgrain finishes as well as genuine alligator leather adhered to the face of the wheel. The special event will feature a Diamond Jacket, valued at $1 Million Dollars, along with $10 Million Dollars of the most beautiful diamonds in the world. This event is free to the public. The Warner Company Jewelers will display Lazare Diamond's Million Dollar Diamond Jacket for the first time in the United States. Lazare Diamonds, known as "the world's most beautiful diamond", has partnered with acclaimed Japanese designer Risuko Shiraham, to create an extraordinary, one-of-a-kind diamond encrusted evening jacket valued at $1,000,000. Delicately layered rows of Lazare Diamonds signifying a bouquet are sewn directly onto the jacket to give a three-dimensional appearance and maximum beauty. The black taffeta and platinum mountings also radiate a beautiful contrast. This stunning design consisting of 2,000 ideal cut Lazare Diamonds, 300 carats, and 2 lbs. of platinum combine for an ultimate feminine effect will appear for the first time in the United States at a special event hosted by the Warner Company Jewelers, November 10th through the 12th. "The concept of a one-of-a-kind couture jacket exemplifies the drama and rare beauty of Lazare Diamonds and the talent and design innovation of Ritsuko Shirahama", said Marcee Feinberg, Vice President of Marketing for Lazare Kaplan. This special event was held last November 10-12 of the year 2006. Lamps are supposed to light your mood if you are in depression. Their magical radiation can add life to your ambience making you feel high in spirits. Days back, when I introduced you to Therese Chandelier's, and fall of the damp lampshades, today there is something extraordinary in the store. Made from 16 transparent curves enlightened by a shady fluorescent bulb, this floor lamp offers a contemporary recreation of the conventional ambient lamp. Through the use of special materials and accurate CNC milling techniques, not only the hood section, but the whole body of this fixture emits a magic light. Together with tablelamp "Marie-Louise" and chandeliers "Therese" and "Therese XL" this sophisticated design is part of a series of unique lighting fixtures, which are guaranteed eye catchers in any interior. Designer: Sander Mulder & Dave Keune, Buro Vormkrijgers. Toyota, the makers of the Lexus line of luxury autos, has just publicly disclosed the full details regarding its newest model. With the success of the less expensive Toyota "Prius", it only makes sense for Toyota to produce a higher-end model, and the new Lexus LS 600h L will be the most expensive hybrid car in production. Technological advances and industry firsts help make this hybrid car expensive. The engine will be the world's first full hybrid V8 powertrain engine. Other specs include full-time all-wheel drive, 430 horsepower, and an extremely low emission rating that puts other hybrids to shame. The Lexus Hybrid Drive system found in the LS 600h L claims to be the automotive industry's most advanced gas-electric hybrid system developed to date, providing power and performance comparable to modern 12-cylinder engines while still delivering best-in-V8-class fuel efficiency. 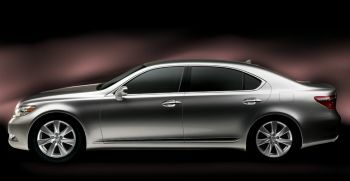 The LS 600h L will also be the world's first vehicle to be equipped with LED headlamps for night and low-beam use. The expensive hybrid car also boasts cutting edge safety features like three on-board cameras monitoring everything from obstacles in the road, to the direction the driver's head is turned. The price tag on these cars will not be cheap, and the Lexus are expected to retail for $104,000 base MSRP when it reaches dealers in June. Motorcycles have had mass appeal to the general public for roughly a century and a half. An American named Sylvester Howard Roper designed one of the first motorcycles in the 1860s. The motorcycle was displayed at fairs and circuses around the eastern U.S.. Europeans also had their hand in popularizing motorcycles and during the World Wars, motorcycles functioned as a quick means of transportation. As the motorcycle progressed, the engines and frames became bigger, sleeker, faster and more powerful, resulting in the high-tech and expensive motorcycles of today. If you can afford one, a custom motorcycle built to your exact specifications is within reach. The fourth most expensive motorcycle we found is the new MV Agusta F4 CC created by Claudio Castiglioni, the motorcycle company's director. He wanted to create a spectacular motorcycle that met strategic marketing needs while also being something truly special and unique. The expensive motorcycle bearing his very own initials "CC" has a top speed of 315 kph (195 mph), 1078 cc's and a 198 hp engine. Each bike will boast a platinum plate located near the top of the steering column showing the model number from 1 to 100, making this motorcycle all the more special to its owners. This Italian dream costs 100,000 Euros ($133,745US). Next on our list is the MTT Turbine Superbike costing $150,000 (111,000 Euros). Not only is this motorcycle expensive, its also extremely fast. 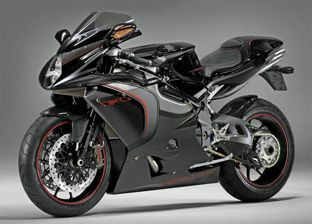 The Superbike is the Guinness World Record holder for the "Most Powerful Motorcycle Ever to Enter Series Production". The turbine engine in this one is made by Rolls Royce and is capable of over 300hp. The motorcycle also boasts carbon fiber fairings, a rear mounted camera with LCD color display, forward-and rear-looking radar detector with laser scrambler, one touch "Smart Start" ignition, and many other cool gadgets. This bike seams to be pretty popular in Hollywood. It starred in the movie "Torque" and even Jay Leno owns one! The Macchia Nera Concept Bike is near the top of the list of most expensive motorcycles at 150,000 Euros ($201,000). 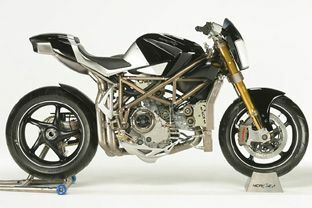 Built around a Ducati 998RS engine, its Italian designers and engineers set out to create an extremely high tech and expensive motorcycle that would be thought of as "the ultimate track bike" that is "simply beautiful and beautifully simple". The Testastretta engine is fitted with lightweight metals and alloys like titanium and aluminum making it very lightweight. The view from the side of the Macchia Nera shows exposed belts and engine components, giving its design a minimalist feel while still being aesthetically pleasing. We should add that this bike is a one of a kind and not in produced for retail at this point, but if you have an extra 150,000 Euros ($201,000) laying around for an expensive toy, your dream might come true. The most expensive motorcycle in production will cost you at least $250,000. The production is limited to a few hundred models, so you better place your order. 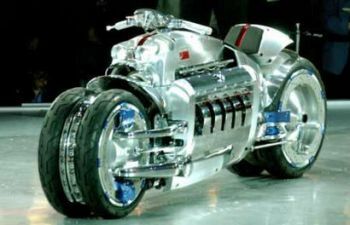 The Dodge Tomahawk V10 superbike boasts 8.3 liter engine (505 cubic inch), and the 10 cylinders can bring the bike to a maximum speed of almost 400 mph. The 1500lb bike has an independent 4 wheel suspension and can reach 60 mph in around 2.5 seconds. The reasons for owning exotic pets are as varied as the species of the pets themselves. One may buy a pet for the aesthetic qualities of its coat, the impression that owning such a rare and/or expensive animal makes on others or even for the unique offspring that may result from its union with another rare breed. Animal lovers may procure rare snakes, birds or even primates in pursuit of their interests. The most expensive pet in the world, however, is a cat. It's no house cat, though. The white lion cub fetches a price of around $138,000 and hails from South Africa, where it was seen as a divine creature by some locals. Its rarity can be attributed to the fact that the white lion is not a subspecies of lion but, rather, the result of a recessive gene. Furthermore, the white lion's coat lends itself less to hunting and more to being hunted. 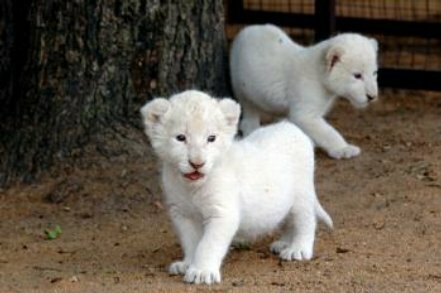 Instead, the world's most expensive pet is often selectively bred with other white lions in captivity. While this is by no means a sure way to produce another white lion, it has resulted in some 300 of the rare animals being accounted for as of 2004. The actress sported the Harry Winston-owned 5.54-carat cushion-shaped diamond when she won the Oscar for Best Actress for her role in Monster's Ball in 2002. 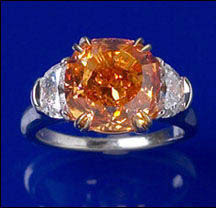 Named for both its unusual hue and because the House of Winston acquired it a day before Halloween, the Pumpkin Diamond is the world's largest Fancy Vivid Orange diamond and boasts an estimated value of $3 million. 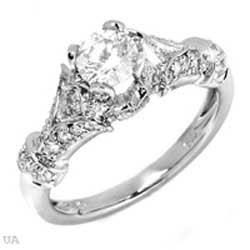 Ronald Winston, along with Phillip Bloch, designed the now-famous ring which it is set in for Best Actress winner Halle Berry, who wore the ring to the 2002 Academy Awards. It was rumored to have been sold on March of 2005. Don't mistake by identifying it as an ordinary cardigan as the golden jewel squares weaved on its edges clearly declare: "I am only supposed to be carried by Miss Rich or Mr Rich." Well, the layer of golden edges is embedded at the closure, hem and cuffs of elegant cashmere. The cardigan is available in all sizes from small to large. The length of the cardigan offers an elite feel. With approaching winters, I think you can't afford to miss this cardigan. So hurry folks and populate your wardrobe with designer collection. It's a pricey deal but worth doing it.